we are not planning on releasing another set of draft rules. Thank you again for your continued interest in the Lunar Lander Challenge. A snag at NASA has delayed the release of the final rules for this Challenge. However, I do not want to keep you waiting any longer to receive the rules. Therefore, please find attached the current draft of the rules for this Challenge. Please understand that these rules are still pending final approval from NASA Centennial Challenges. However, we do not expect that the rules will receive any substantive changes from this point onward. Although these rules should not be considered binding, you can expect them to closely approximate the binding final draft. This draft rules document contains deadlines for submission of registration materials. These deadlines are approximate, and may be moved depending on how long it takes to overcome this snag and release finalized rules and registration packages to all interested parties. If you find these rules ambiguous or unclear in any way, this is a good final opportunity to notify us before the rules are set in stone. As previously mentioned, in order to preserve the fairness and equality of the competition, I will distribute all information regarding rules clarification and finalization to all interested parties simultaneously. Please note that this means that questions posed to me that might be of interest to other teams will be generalized, and answers will be provided to all interested parties simultaneously. This rule will apply to only registered teams after the registration deadline. Finally, if you have sent me a request for documents A or B and have not yet received them, please contact me again. Kind regards, and good luck! Ed Wright of X-Rocket fame, a longtime proponent of space prizes, thinks Lunar Lander Challenge is one of the best prizes that NASA has introduced so far. He hopes NASA will find a way to up the budget to an X Prize-class purse of $10 million or so. Ed Wright also has some sharp observations about NASA’s somewhat larger space prizes offered by the space agency’s innovative partnerships department, the COTS (Commercial Orbital Transport Services) demonstration contracts due to be awarded August 8, according to Michael Belfiore. For instance, Ed says, contrary to popular belief, COTS won’t purchase cargo or crew services to the International Space Station, it will only fund development of systems that may be able to provide a commercial solution in the future. Ed also thinks the NASA-DOD effort to develop a military spaceplane could spend its money better by putting the X-37’s budget into some high-dollar military space prizes (like DARPA’s Grand Challenge), prizes aimed at developing the low-cost, responsive space launch technology that the military needs and the public space traveler wants. Michelle Murray, the FAA contact in the Office of Commercial Space Transportation for Lunar Lander Challenge contestants, wrote to say that she has bookmarked this place. Thanks, Michelle! Michelle is there to help. At Space Access ’06 she told me that she would work to find a way for any serious contestants to get permits in time for the competition. Will Pomerantz, Director of Space Projects for X Prize Foundation, also wrote to say that he has bookmarked this place. But, still no final rules yet. Will promises to keep us posted. Here are some questions floating around about the contest. If anyone knows the answers, share if you can. The draft rules said April 23 was recommended to submit an experimental permit application, and June 22 is the last possible date to get a permit in time for X Prize Cup 2006. Is that still the schedule? Will teams need two permits? — one for flight-testing at their own sites, and one for the X Prize Cup? What if some college team just heard about the Challenge on May 5 and decided to spend all summer building something to field in the contest — is there any hope for them? Or is it too late? How many applications has AST received for vehicles wishing to compete in Lunar Lander Challenge? Will there be anything launched from X Prize Cup that will attempt to go to space? If you have a team that wants to compete in Lunar Lander Challenge at X Prize Cup 2006, you are invited to share or zealously guard the facts about your team here. 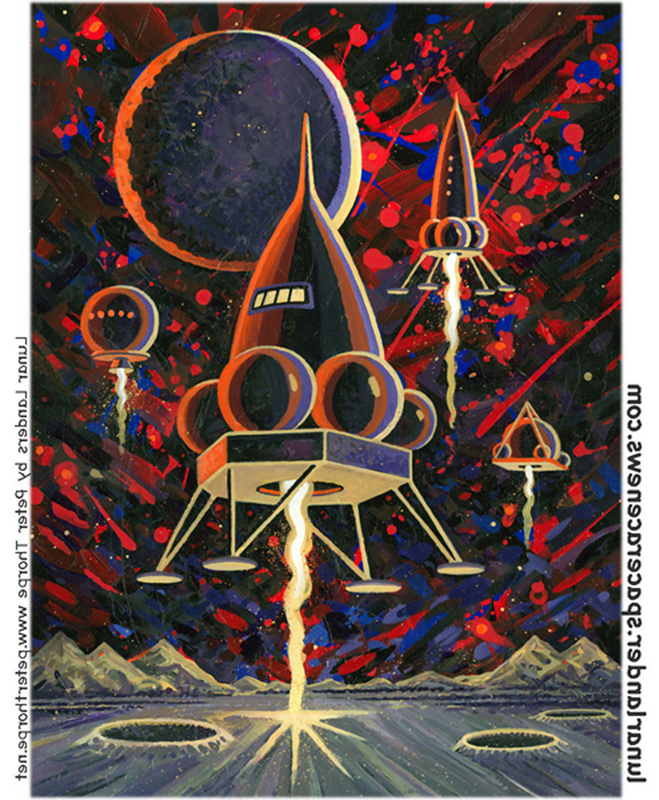 Nice to have The Space Review story linked at Space Transport News and archived at HobbySpace ISDC 2006. Also fun to show up on Transterrestrial Musings — the ongoing discussion there, and the email from X Prize officials, have inspired me to set up this place. I’ll get to work on it soon. Promise.